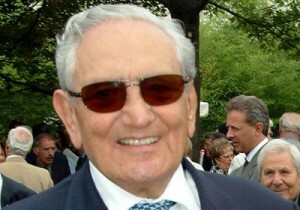 Michele Ferrero, Italy’s richest person and the holder of eponymous chocolate maker Ferrero SpA, was born in 1925 in Italy. He runs 18 factories across the world with 21,000 employees. His brands include Mon Chéri, Nutella, Ferrero Rocher, Kinder Chocolate, Tic Tacs and Kinder Eggs. He was the first person who introduced Gran Soleil, a ready-to-freeze dessert that could be stored at room temperature. Ferrero’s desire and determination to create new products with unique ideas has revolutionized the food habits of millions of people across the world. According to Forbes Magazine 2011, he is the world’s #32 richest person with $18 billion fortune and the richest in Italy.